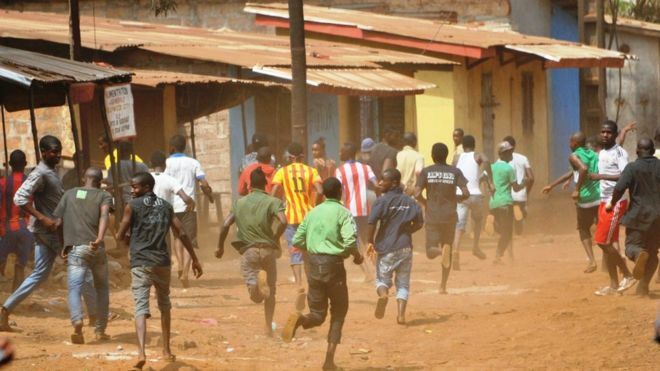 A 28-year-old man on Tuesday narrowly escaped being lynched by an angry mob after he was allegedly caught indulging in homosexuality with a secondary school student. The suspect, who was identified as Anthony Esimoneze, was reportedly caught naked in the act with the student in a mechanic workshop in Fegge area of Onitsha. Esimoneze was caught by a female food vendor who went to ease herself at a corner of the mechanic workshop, but saw the suspect and his partner engaging each other in the act. DAILY POST gathered that the angry mob led the suspect with used tire and petrol with the hope of taking him to a safe place for lynching when he eventually escaped. Anambra state Police spokesperson, SP Haruna Mohammed was unable to confirm the incident as he did not respond to calls and text messages sent to him, as at press time.